Cadiveu Wires Plastic is a post-sealing conditioner for bulky and frizzy hair. Cadiveu Hair Plastic is a post-sealing conditioner for bulky and frizzy hair. It gives the required moisture to the wires, enhances the results of thermal sealing and returns the silkiness of the threads, besides bringing health for the hair fiber. It leaves the yarns soft, bright and preserve natural moisture. Açaí Extract: Its antioxidant that protects and regenerates wires, as well as ensuring efficient and long-lasting hydration. Amino acids: Restructures damaged regions and gives softness and flexibility to wires. Phytonutrients: Nourish, protect and assist in the regeneration of damaged parts. 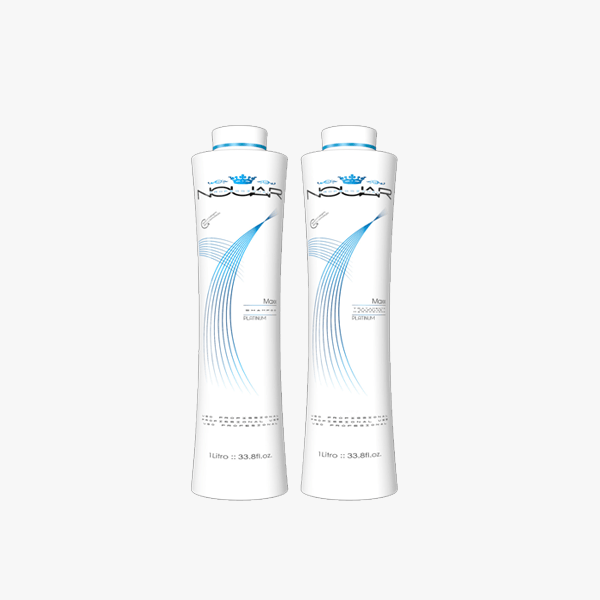 Silky bright hair, with natural balance and smooth effect. Blonds, greys and with highlights, bulky, frizzy, curled and dry hair. Wash the hair with the pre-reconstruction shampoo. Dry 70% of the hair and divide it. Apply the thermal hair reconstruction through the length and tips of the hair. Use the iron flat for 5 to 7 times. Then, rinse the hair. Apply the sealing mask leave on for 5 minutes and rinse well.